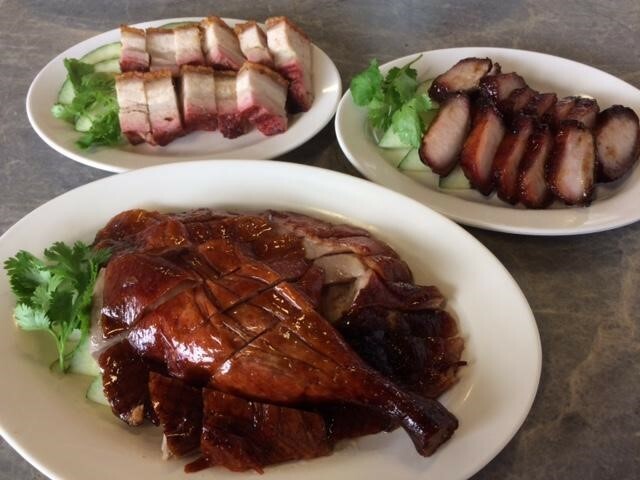 Roast meats have a special place in the hearts of most Singaporeans and Malaysians. 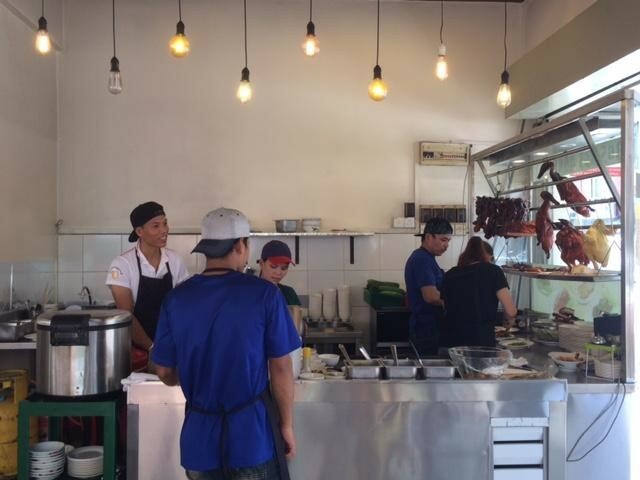 Doesn’t matter if you prefer your chicken steamed or roasted, everyone has one particular stall or restaurant they frequent often. It’s usually their go-to place for a quick and filling meal. As a Malaysian having grown up in Subang Jaya nearly my entire life, I’ve tasted my fair share of roast meats, both good and bad. 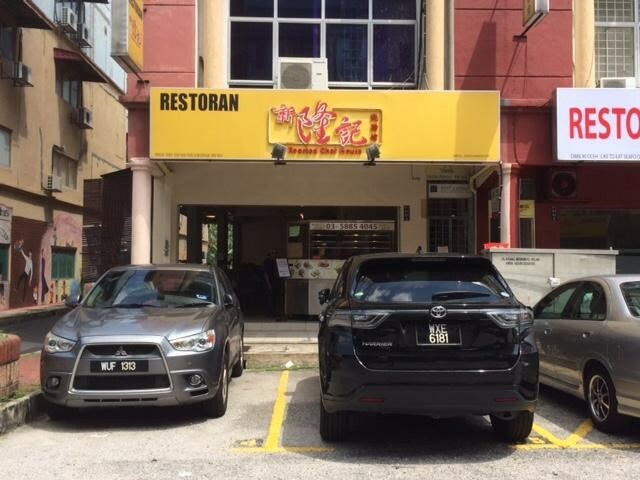 While not all of them were able to leave a lasting impact on me, there is one corner-lot restaurant that has made an impression on me with their homely service and delicious food. Located in USJ One, Subang Jaya, Roasted Chef House is owned by a humble family looking to bring honest, good food to people in the vicinity. 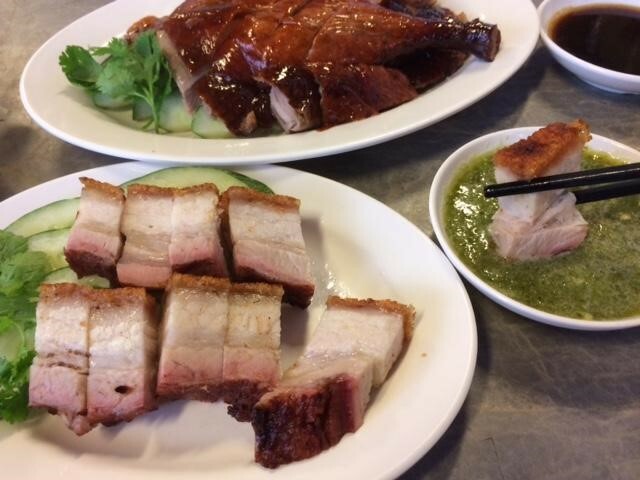 After being overseas for too long, homesickness will start to seep in along with the memory of sweet, fatty char siew and crispy siew yoke. Though simple, there’s something about that complete meal of rice, meat and soup that can soothe the soul. Coupled with good house-made chili, what else could you want? The restaurant adopts an open-air concept yet manages to be shady and cooling. Simply furnished, the food is the main spotlight here. What sets this place apart from the rest is that everything they serve is incredibly good and consistent each time I pay a visit. You’ll find most other stores only specialising in one thing, or they may serve all kinds of roast meats but it tends to be pretty mediocre. With Roasted Chef House, each and every item on their menu is worth recommending. 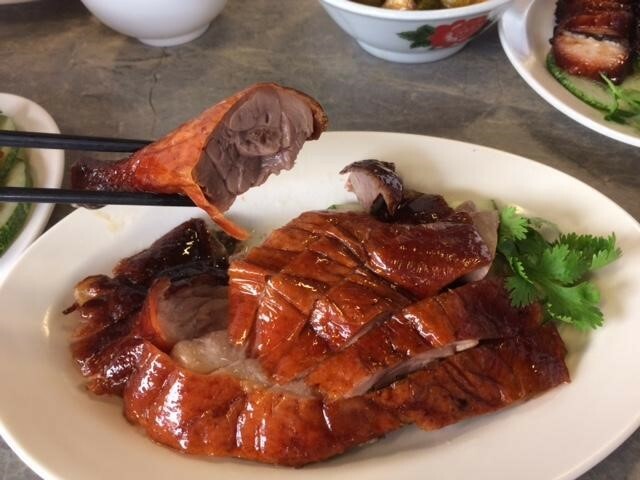 Reasonably priced at RM33 for half a bird, their Roast Duck manages to have perfectly crispy skin which is hard to find. If you’re the type of person who comes to a roast meat joint looking for something clean with no fat, this place isn’t for you. Thanks to the generous layer of fat sandwiched between the skin and meat, their meats are robust in flavor and absolutely luxurious to eat. Lightly dip it in the salty duck oil it comes with for maximum enjoyment! The Siew Yoke (RM13/small) came in thick slices, much larger than the usual size. Each individual layer of the pork was clear and the fat to meat ratio was just to my liking. While some may find it too salty or fatty, fret not as this is where their signature green chili sauce comes in. Made mainly with blended green chillies, the sauce is meant to complement and cut through the oiliness of the siew yoke. Tangy and not too spicy, I couldn’t help myself from dipping it into the sauce over and over again. On top of that, they also provide you with house-made hae bee hiam (spicy dried shrimp sambal). It’s one of the crispiest I’ve ever had, so make sure to ask for it if you’re there! The Char Siew (RM13/small) really proves that each of their dishes is truly worth raving about. Texture-wise, it was very soft and tender, and wasn’t charred to the point of blackened bitterness like at some place. The best part is the small dish of thick and sweet char siew sauce. Dip the meat in for even more gooey sweetness! Roast meats aside, their Kiam Chye Boey (salted vegetables and tamarind stew) is also worth noting. Most roast meat joints serve this, as it’s a good way to use up leftover meat. 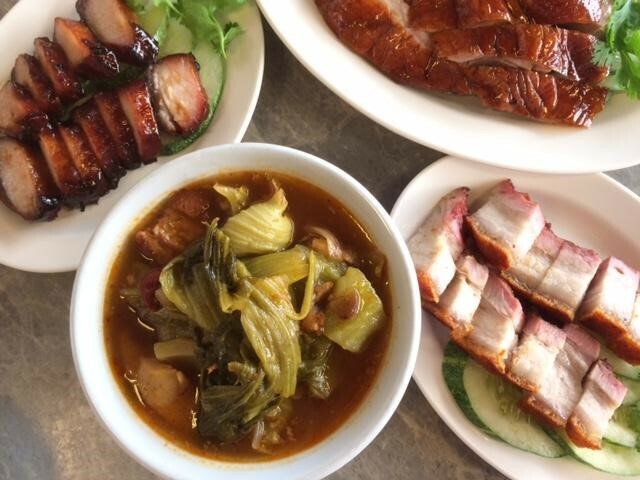 You can be rest assured the Kiam Chye Boey will be delicious and savoury, and not flat. Roasted Chef House serves up a version that’s chock-full of huge salted mustard green leaves and really potent in flavour. I always order a side of this to cut through all the meat and round out the whole meal. Roasted Chef House also excels with their versions of liang teh. 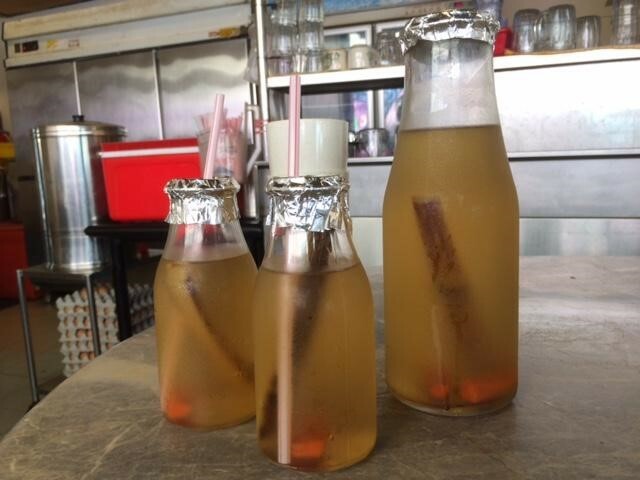 Printed on the menu as Herbal Tea (RM3/small, RM8/large), they alternate every three to four days between sugarcane, chrysanthemum and winter melon longan. I tried the sugarcane liang teh which is also boiled with carrots! Although slightly out of the ordinary, fret not as the taste of the carrot is undetectable. Not too sweet and super refreshing, I highly recommend ordering this. If you’re staying in the area or visiting from elsewhere, make sure to give this place a try. 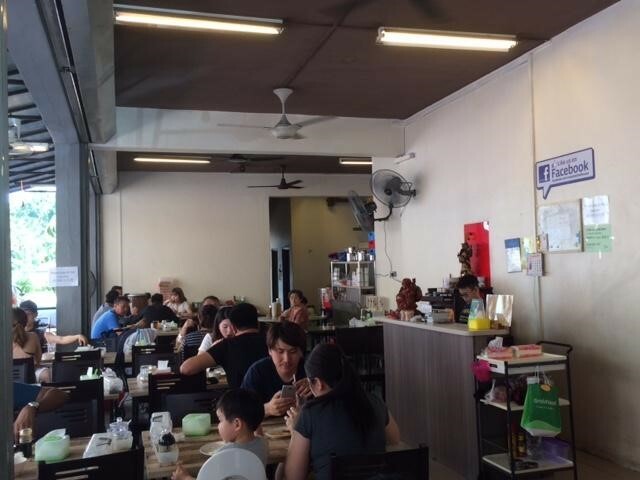 Aside from the very family-friendly environment, the roast meat here is probably better than the rest you’ve ever had!